Found 2 file extension associations related to Trillian and 1 file format developed specifically for use with Trillian. 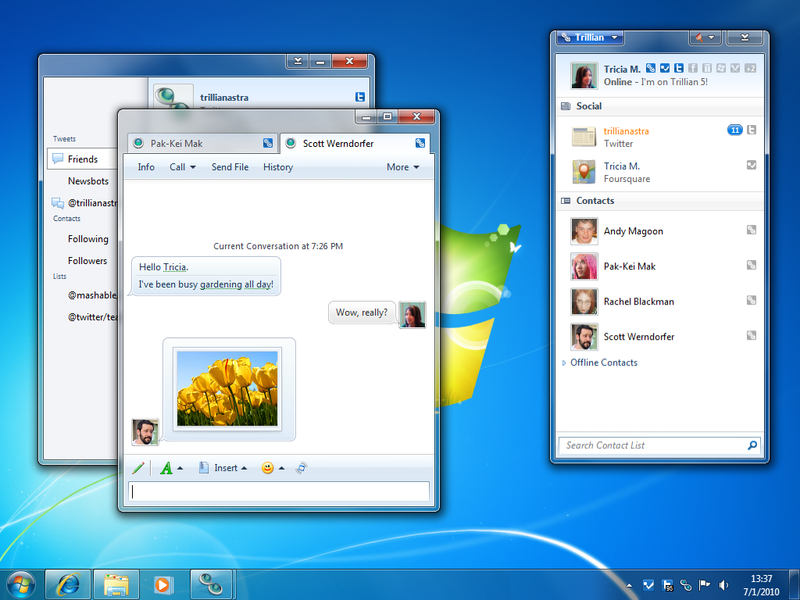 Trillian is a multiplatform instant messaging client with support for Google Talk, Facebook, MSN, AIM, ICQ, Yahoo!, and more. Since 2000, Trillian has been a powerful part of the effort to bring interoperability to IM. If you need more information please contact the developers of Trillian (Cerulean Studios), or check out their product website.